I have just realised that I am wearing only H&M! 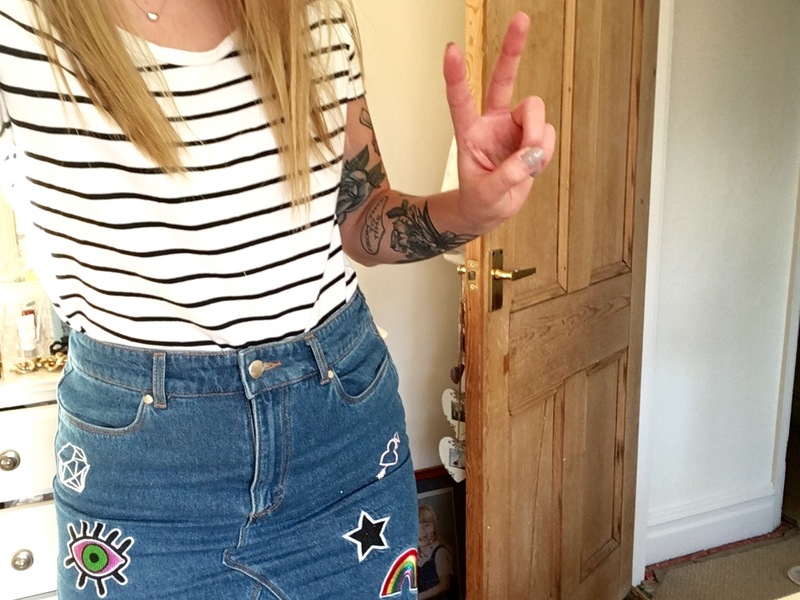 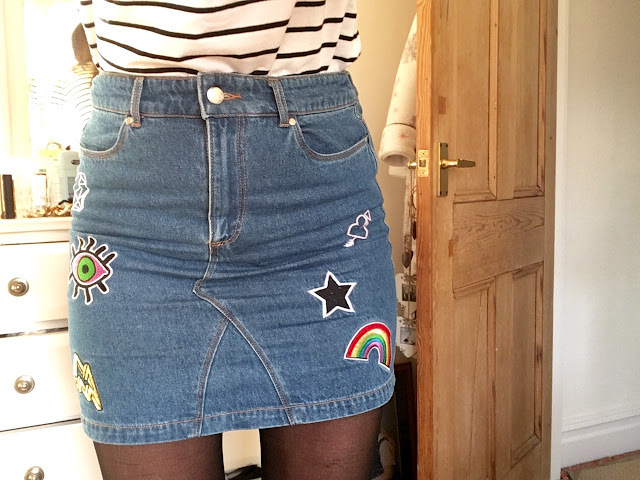 I cannot get enough of this skirt, the patches are so cute and rad, the fit of the skirt is also really flattering. 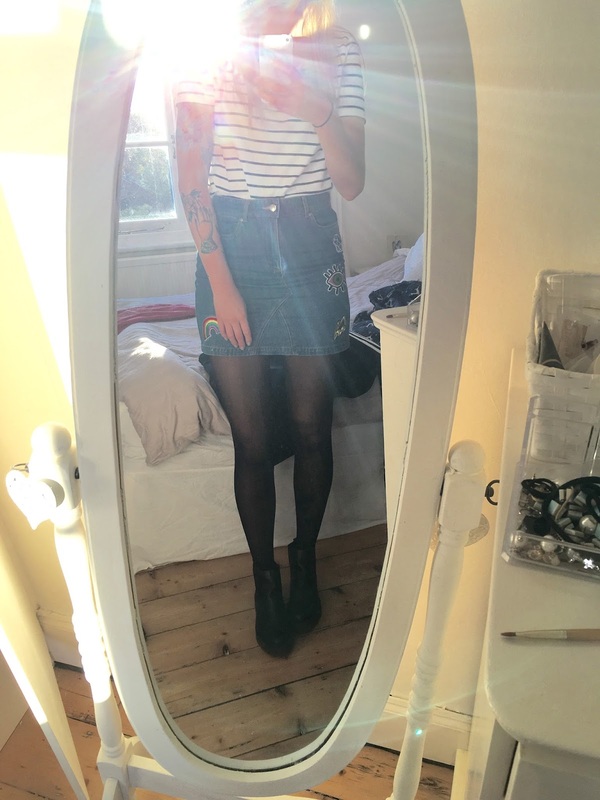 I cant wait to wear it with big knitted jumpers and my Dr Martens throughout autumn and winter! 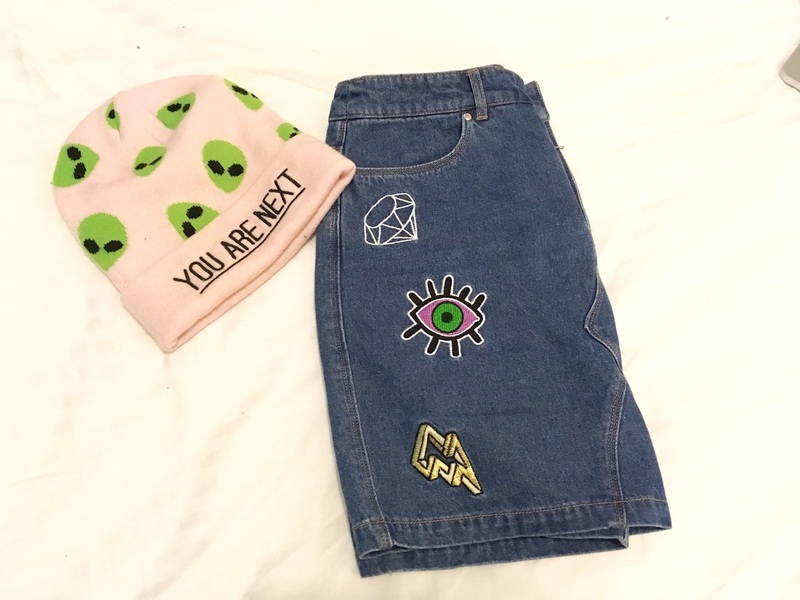 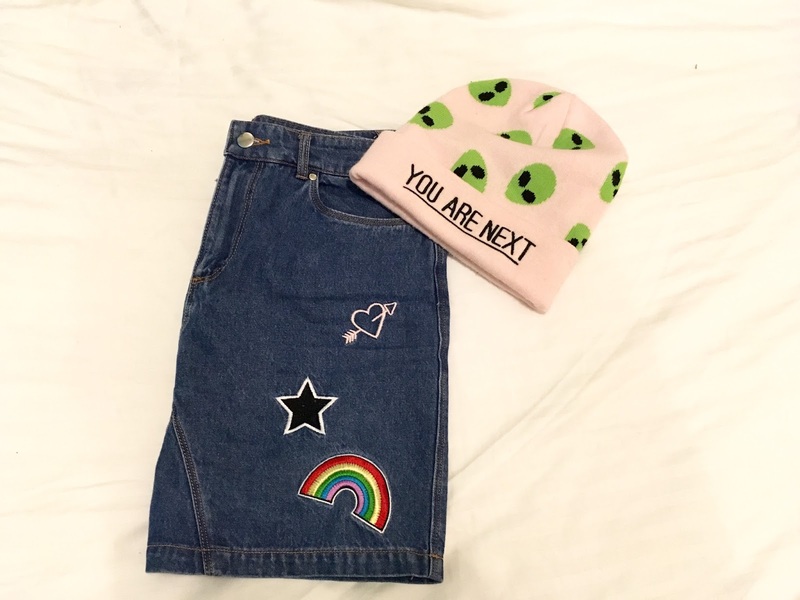 I bought the cute alien beanie last year and I think it goes perfectly with this skirt also. 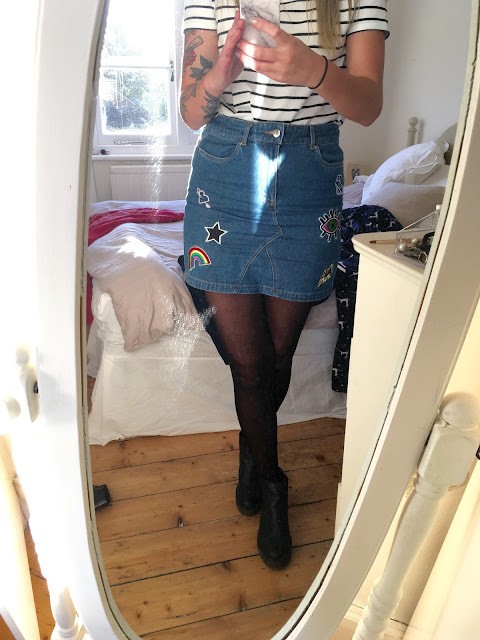 I am usually a jeans person or baggy dress but I have a feeling this will be so over worn over the next couple months! !